One of the most Frequently Asked Questions, is what can I do for my website to get onto Google? The short answer is, get links from other sites, get a blog, and add content often. Yes it is a huge amount of work and its going to take a long time – but you have a small business so you know what that is about right? Instead of writing the whole thing out myself, here are links to others that have put things together much better than I could. SEObook has put together a great set of resources on promoting your website on a shoe string. 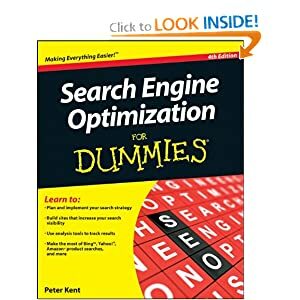 I would recommend his book as well as SEO for Dummies. Google Engineer Matt Cutts has more tips and info here. The other classic resource, from about 10 years ago is Brett Tabke’s article Successful Site in 12 Months with Google Alone – 26 steps to 15k a day. Yes it really does work! Not that it’s a cakewalk tho – SEO for dummies is 450 pages and heavy going, but if you read, absorb and put into practice what they say, it might take a year or 2 of pretty hard slogging, but you will get on the first page of google, have thousands of people coming to your site again and again and make a lot of money. There are several DIY tips and tricks in Website Promotion, and your article is right-on the money with regards to website promotion strategies. Online Marketing and Promotion is of 2 types: Organic and PPC. Now, organic techniques include simply SEO services to get the website ranked on Google and PPC on the other hand is paid advertising o Google to get the traffic. Even, I think that SEO promotion is a nice way of promotion which includes very effective and genuine techniques for website promotion. Next story Wither Now Economics?